Desmond Child Interview: Legendary Hitmaker Proclaims, "Gay People Can Procreate. We’re Not Infertile. So End of Discussion America!" In a very private New York ceremony last month, rock musician and Grammy Award winning songwriter-producer and recently turned film producer Desmond Child was married to his life-partner of 24 years, Curtis Shaw, also a film producer. Officiating as the Best Men at the ceremony were their 11-year old twin sons, Roman Shaw Child and Nyro Shaw Child who are also the stars of a new documentary called Two: The Story of Roman & Nyro, which has been making its way through this year’s film festival circuit. Two: The Story of Roman & Nyro documents the personal and powerful story of the Shaw Child family and how it all began with Angela Whittaker – their sons’ surrogate mother. The documentary features appearances by the boys’ godfather Jon Bon Jovi and family friend Deepak Chopra. It opened October 18, 2013 in Los Angeles and is in select cities nationwide. Child is one of the most accomplished hitmakers in the music industry and is responsible for writing and/or producing over 70 Top 40 singles with 300 million albums sold worldwide (“Livin’ on a Prayer,” “Livin’ La Vida Loca,” “I Was Made for Lovin’ You”). He has worked with Cher, Bon Jovi, KISS, Ricky Martin, Alice Cooper, Joan Jett, Chicago, Meat Loaf, Aerosmith, Kelly Clarkson, Joss Stone and many others. The Shaw Child family resides in Nashville, Tennessee. Melissa Parker (Smashing Interviews Magazine): Desmond, let’s talk for a few minutes about the film. First, I want to say that the kids are adorable. Desmond Child: Aw. Not so adorable off screen (laughs). Melissa Parker (Smashing Interviews Magazine): Why did you decide to make the documentary? Desmond Child: Our surrogate mom, actually our gestational surrogate (because it wasn’t her egg), Angela Whittaker, started doing a video diary of her thoughts and feelings as she was going through the process, and she shared that with me and Curtis. We started doing one also because we thought it would be a fantastic thing to give to our kids to show them how much love, care, concern, thought and consideration went into helping them to be born. So we started filming our thoughts and feelings. Angela had a cinematographer friend, and he followed us to appointments, and then it just kept growing. Every time there was a momentous occasion like when Curtis became a legal co-parent or when we got married, birthdays, things like that, it was filmed. Just like anyone would make home movies of their special occasions. It looks like we just go from party to party in our family (laughs). But that’s because that was all the footage we had. Finally we had 300 hours that we handed over in boxes to our director, Heather Winters, who was also the executive director of Morgan Spurlock’s Academy Award nominated documentary Super Size Me. She spent two years sorting through it and weaving together the beautiful tapestry of life that is Two: The Story of Roman & Nyro. Melissa Parker (Smashing Interviews Magazine): I especially liked the fact that each person discussed their own personal experiences with the surrogacy, even the grandparents. It’s interesting how using a surrogate affects so many people emotionally and otherwise. Did you have any idea of that before you actually began the process? Desmond Child: Actually we didn’t because we were just so set on having a kid that we just figured, “Well, this is the way we’re going to do it.” It was very important to me because of my background to have my own kid. You see, I didn’t know who my real father was until I was 18, so I wanted my kids to be mine. Curtis didn’t feel that strongly about it, about the kids being genetically his because he came from a very stable family. Of course, we could’ve adopted. But to have my own child was very important to me. In vitro fertilization was originally created for infertile couples so that they could use their own egg and sperm. Then gay men started realizing that they could have their own kids through a surrogate. To be able to implant a foreign embryo into another person and have it take and go all the way, that’s fantastic science. I think the very important thing we wanted to show is that sometimes in the heterosexual world, some people that are very religious or far right or whatever feel like they have the higher ground or the moral authority to have children their way and that somehow those children are more sacred than any others. Because of all the beautiful signs we had, we felt the hand of God moving us through the whole process. We wanted to show the spiritual journey that went into it as well because our children are just as sacred as anyone else’s children. In a world where our families are marginalized and our children are marginalized legally and by all kinds of religious groups, we felt it was important to show that. Melissa Parker (Smashing Interviews Magazine): Is that the message you hope the audience will come away with after viewing the film? Desmond Child: An opponent of gay marriage said, “Well, marriage was created for procreation.” Well, 80 year olds can marry, and they can’t procreate. So how’s that? But the real answer is that gay people can procreate. We’re not infertile. So end of discussion America! That’s a huge leap in acknowledgement. I remember Bush going on television. It was very hurtful. My kids were very small. Bush said, “I don’t know why they want to get married! They can’t have children.” And I’m sitting there watching this with two kids bottle-feeding both of them at the same time. Melissa Parker (Smashing Interviews Magazine): Does your family encounter prejudices at the children’s school? Desmond Child: They attend a Montessori school in a very liberal environment. When we came to that school, there was one other gay family, and now there are seven. Things have changed a lot here in Nashville. When we first joined the school, they actually created a diversity group to have these discussions with the parents and the teachers. Melissa Parker (Smashing Interviews Magazine): What made you so sure that those particular names (Roman and Nyro) were right for the boys when they were born? Desmond Child: We named Roman after Francis Ford Coppola’s son Roman. Our best friend works with Francis’ daughter Sofia, so they’re in our circle, and we’ve always loved the name. Nyro is named after Laura Nyro who was my friend and great inspiration throughout my life. In fact, now I’m the godfather of her grandkids. So it has been a family thing. Melissa Parker (Smashing Interviews Magazine): Speaking of godfathers, why Jon Bon Jovi? Desmond Child: First of all he is the godfather! We’ll just put it that way (laughs). So it wasn’t a far stretch. He’s a magnificent person. I met him when he was 22 years old, and we’ve been working together ever since to help change the course of pop music. The very first day we met, we wrote, “You Give Love a Bad Name,” and then two weeks later, we wrote, “Livin’ on a Prayer,” which is one of the most played songs in the world. Melissa Parker (Smashing Interviews Magazine): You also worked with KISS in the early days. Desmond Child: First I worked with KISS and had a big hit with them called “I Was Made for Lovin’ You.” Then Paul Stanley gave my number to Jon Bon Jovi, and we started working together. Then this very same A&R (Artists and Repertoire) man who had hired me to produce Cher when she came out of eight years of not recording, hired me to be one of the producers of this other act called Aerosmith. They had finished an album called Done with Mirrors that was not successful and because of my success with Bon Jovi, they figured I was the secret weapon. I talked them into doing this storyline of a guy who goes into a bar and sees a stripper up on the stage and then goes backstage. It turns out she’s not what she appears to be on the outside. But instead of running away, he stays. That’s why there’s a part that comes in the song that says, “She like it, like it, like it, like that. Ooh he was a lady!” It was a revolutionary song because instead of running out in shock by his discovery, he stays. Thus the second verse, “So never judge a book by its cover or who you’re going to love by your lover.” Every four year old in the world knew the song from Mrs. Doubtfire (laughs). Melissa Parker (Smashing Interviews Magazine): Steven Tyler calls you a musical genius, and says he enjoys writing with you because you two argue. Melissa Parker (Smashing Interviews Magazine): Marvin Gaye’s family is suing the writers of “Blurred Lines” claiming copyright infringement. But how can a musician or songwriter totally prevent something like that? It seems impossible with thousands of songs written each week. Desmond Child: In a tragic lawsuit against Michael Bolton for a song called “Love Is a Wonderful Thing,” he never even said those words. At the very tail end of the song, he happened to sing, “Love Is a Wonderful Thing,” not even knowing that there was another song with that in the title. He lost that lawsuit and was very hurt because he would never in a million years plagiarize another person’s song. That was a coincidence, and the jury voted against him. Michael Bolton lost a huge amount of money because they were saying that his whole tour was based on the success of that song, so he had to give up all the money from everything. There is a thing called Errors & Omissions insurance that can help protect those things. Hello! There are only 12 notes, and the English language only has a certain amount of words that can actually go in a song like love, June, moon, spoon (laughs). Think about this. In the 440 Circle of Nashville, there are 2,000 songwriters. They’re each writing a song a day, and all saw Homeland that Sunday, and the next day, somebody’s written a song that came from what Carrie Mathison or Saul Berenson said on the show. My publisher friend said, “Ten songs will come across my desk with the same title that is pulled off a TV show.” So if 2,000 writers write a song apiece a week, that’s 10,000 songs a week times let’s say 40 hours. That’s a huge amount of songs, and we’re all reading the same newspapers, watching the same movies and television shows more or less and all reading Fifty Shades of Grey. We’re bound to take the same path in our heads. It’s unavoidable. Melissa Parker (Smashing Interviews Magazine): Exactly. Early inspirations, Desmond? 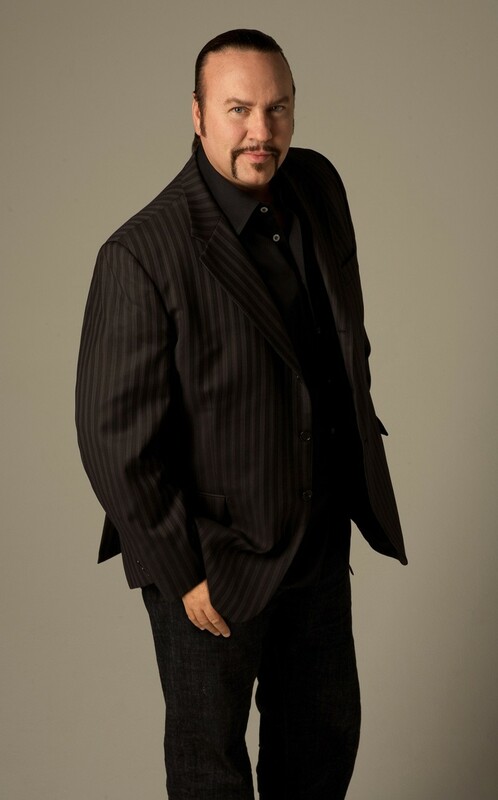 Desmond Child: I grew up in the ghetto of Miami listening to R&B and soul music, rock & roll, folk, all of that stuff. But when I went to NYU, I met an artist who was an incredible R&B singer that sounded like a male Aretha Franklin. I wrote songs for him, and I worked at the Chappell Music Songwriting Workshop where everybody was black but me, and I started writing R&B music. This was in the 70s. I started my group called Desmond Child & Rouge while in college with my girlfriend at the time (before I actually figured out I was 100% gay), and we had a sound that was more akin to what Prince, Madonna and George Michael were doing. It was blue-eyed soul. We made two albums on Capitol Records. The thing with KISS was kind of a cross pollination because Paul (Stanley) asked me to write a song with him, and our group just had our first hit called “Our Love Is Insane,” which was a rock sounding disco song. I convinced Paul to do a rock song over a disco beat, and that was “I Was Made for Lovin’ You.” So that’s what got me into the rock & roll business. The bass on “Livin’ on a Prayer” has a bouncy R&B disco feel. So I brought an R&B influence to rock. Melissa Parker (Smashing Interviews Magazine): You met Clive Davis in the early days? Desmond Child: Yeah in 1972. Melissa Parker (Smashing Interviews Magazine): Were you living in the commune at that time? Desmond Child: Well, no, I was living in a kind of commune. I had moved up there with my writing partner, Virgil Night, because we had a singing duo called Night Child. This guy who owned a record company saw us singing at the Joyous Lake Hotel one night, and that same night he let us stay there for a few months. His name was Bernard Stollman. Stollman had ESP Records, a kind of an indie jazz label, and he was very sweet. He even bought me a big upright grand. It was like an old, old piano. It had a hard time staying in tune, but I wrote my first real song there, and we made our first demo. I handed my demo to Clive Davis in January of 1972, and 40 years later to the day, he handed me the Clive Davis Legend & Songwriting Award. Melissa Parker (Smashing Interviews Magazine): How cool is that. Desmond Child: How cool is that, and right now Clive has invited me to teach at the Clive Davis Institute of Recorded Music. This semester I’ve been teaching there two days a month, and I’m having a ball working with the kids. Melissa Parker (Smashing Interviews Magazine): You’ve written so many successful songs, but were there any you thought would make it but fell short of expectations? Desmond Child: I wrote a song with and for Ricky Martin for his last album called “The Best Thing About Me is You,” which was a duet with Joss Stone, and they sang it on Oprah. But the machine, Columbia Records, wasn’t there to promote it. At that moment in time, they just didn’t choose the song as a priority. The song went to #1 on the Latin Charts, but it didn’t have the push that Ricky’s music had before, and his champions had left the company. Sometimes when new people come in, it’s not their act, so they don’t push it. That was very, very disappointing to me because I spent seven months of my life making that beautiful album with Ricky Martin, and it was the album where he basically came out to the world. It has a very beautiful message, a very personal message because he co-wrote every song, which is different for him. He was very hands on. Melissa Parker (Smashing Interviews Magazine): Has the music industry gotten worse (for the musicians and songwriters) since the 1980s? Desmond Child: I have this theory that there shouldn’t even be copyrights, that everything should be public domain. However, the public isn’t going to support us. That would be all fine if we could just make music and just be taken care of our whole lives. But it doesn’t work like that, does it? They’ve even robbed our educational system of some of the arts. So if we’re going to be artists, we have to do it on our own. But you know what? You can go on the Internet and listen to any song you want on You Tube. They’re not stopping anybody. It’s just like, “Come one, come all!” All that while You Tube sells billions of dollars in advertising on the basis of our content that they pay very little for. Pandora and Spotify and all this streaming devalues music to the point that music has no value. So how does that help the world? Music is the most used product on earth. After air and water, there is music. In every corner of the world, music is being performed, enjoyed and used for atmosphere in restaurants, coming out of a radio selling advertising. In every corner of the earth, music is constantly going on. You can barely go into any place that is absolutely silent. It’s a very strong export for our country, and it’s an export that promotes individualism and thus promotes democracy and capitalism. It’s one of our strongest flags and yet the techies, with all their billions and the people that get behind them, want to devalue what we have. So who is gonna make it their career? Who’s going to do it? You can’t just say, “Hey, go make music on your synthesizer in your bedroom.” You can’t make great artists that way. You have to develop them. You have to give them money to perform so they can experience it. A song is not finished until somebody listens to it. Melissa Parker (Smashing Interviews Magazine): Are you working with someone in the studio now? Desmond Child: (Just a second, my child has handed me an ice cream cone) Okay, I’m back. Yes, in fact, I’m sitting here in front of Levi Hummon. He is of the group The Hummons, which was founded by his father Marcus Hummons, and himself. They wrote the original song that is the theme song of our movie, Two: The Story of Roman & Nyro, which we’ve qualified for Oscar consideration. In fact, they are performing next Sunday and Monday, opening for Alabama at the Ryman. We have our single, “Make It Love” that’s coming out on Hitshop Records and Destin Entertainment, a collaborative union. Melissa Parker (Smashing Interviews Magazine): Any upcoming projects? Desmond Child: I work with an artist named De La Torre. He’s a 19-year-old second generation Cuban recording artist, and he’s doing bilingual music. We’re still developing him. We’re having a lot of success with his You Tube clips and eventually, we’ll get him a record deal too. I’ve written a Broadway show called Cuba Libre (like the drink), and it’s the true story of my family before and after the Cuban revolution. It is being produced by the Dodgers theater group who produced Jersey Boys and Matilda. We’re being developed by director George C. Wolfe who hopefully will take us all the way to Broadway. Melissa Parker (Smashing Interviews Magazine): Good luck with that! Desmond, thanks for the time today. Hope you were able to finish the ice cream cone. Favorite flavor? « William Joyce Interview: When Things Go Missing, Mischievous Creatures May Be to Blame!